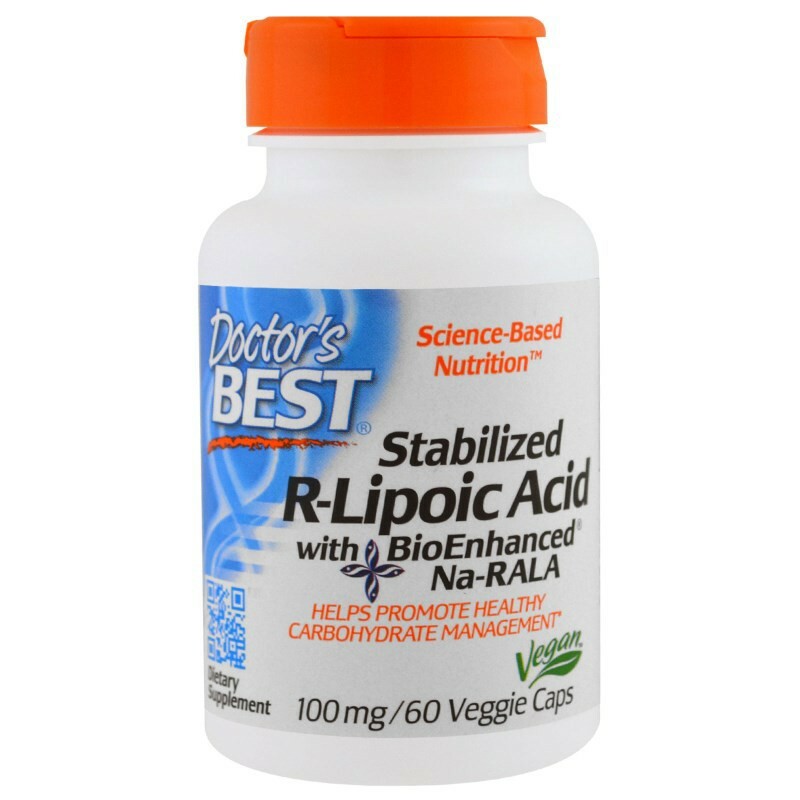 Best Stabilized R-Lipoic Acid contains BioEnhanced Na-RALA, the sodium salt of R-Lipoic Acid (RLA). 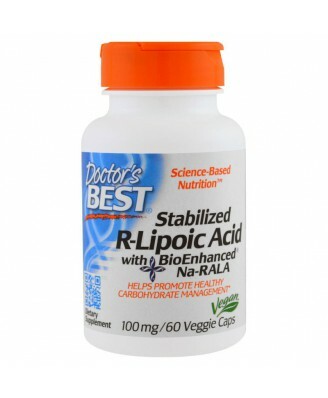 Best Stabilized R-Lipoic Acid contains BioEnhanced Na-RALA, the sodium salt of R-Lipoic Acid (RLA). Unlike pure RLA, BioEnhanced Na-RALA is a stabilized form of RLA that won't degrade at high temperatures, is more bioavailable than regular RLA and has no solvent residues. 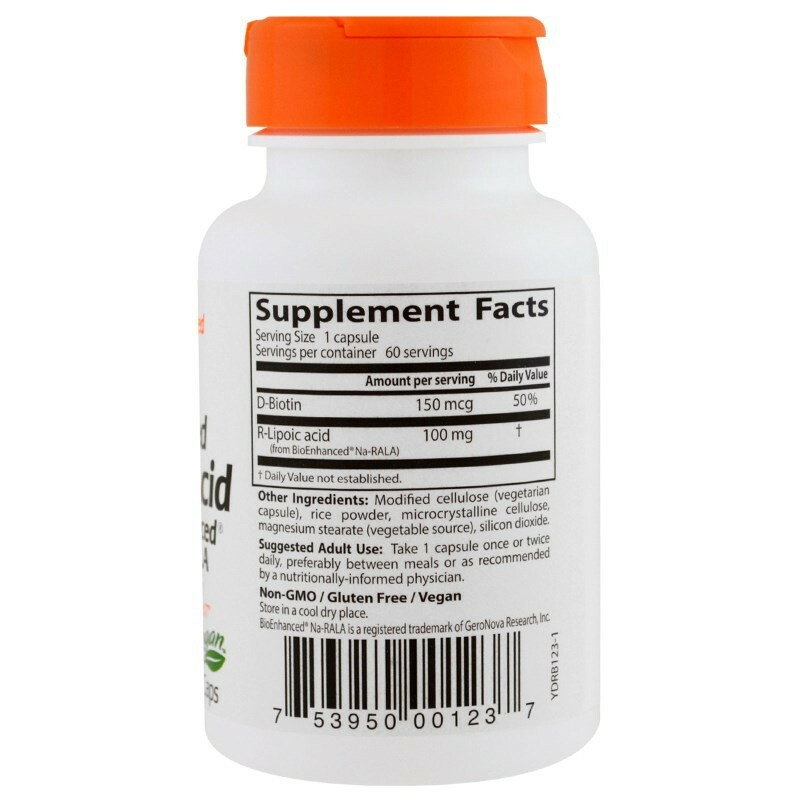 Lipoic Acid occurs in two forms, designated as "R" and "S." Studies suggest that RLA, the natural form, is more biologically active than the S form. 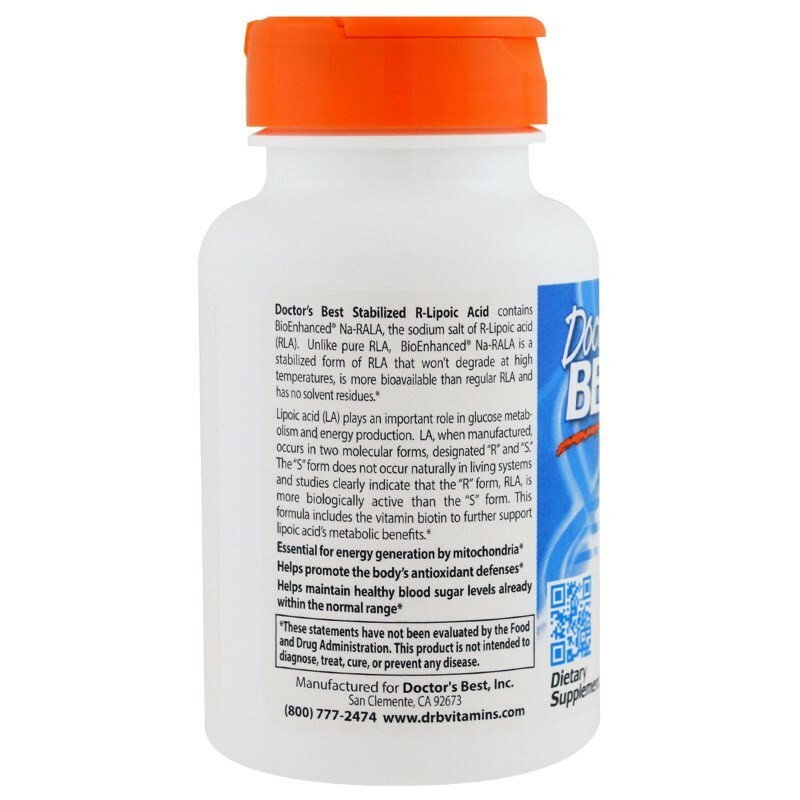 This formula includes the vitamin biotin to further support lipolic acid's metabolic benefits. Adult Use: Take 1 capsule once or twice daily, preferably between meals.